Technical Abundance … Already Happened? More to Come? Writing up Douglas Mallette’s Cybernated Farm Systems talk from XFF yesterday got me thinking about this idea of technical abundance. Mallette is one of many who envision a future of abundance brought about by engineering breakthroughs. Some even go so far as to predict the end of scarcity. Ray Podder is one of these folks and he also spoke at the XFF this year. He is promoting the idea that we might be on the verge of huge increases in energy abundance. He cites Nocera’s work at MIT that led to an artificial leaf that basically catalyzes water into hydrogen and oxygen when exposed to sunlight. Podder is interested in a bunch of other energy harvesting technologies such as HighDro Power’s plumbing pressure generator and Penn State’s wastewater microbial electrolysis. There is surely plenty of energy around, even footsteps generate energy. I can imagine devices seeping into the markets here and there. The artificial leaf seems well suited for Africa and other undeveloped parts of the world. But I am not holding my breath for a sudden paradigm shift. Diamandis and Kotler were banging this abundance drum last year with their book: Abundance: The Future Is Better Than You Think. One of their many theses is that four major forces will transform the world to bring about abundance: exponential technologies, DIY innovators, technophilanthropists, and the rising billion. 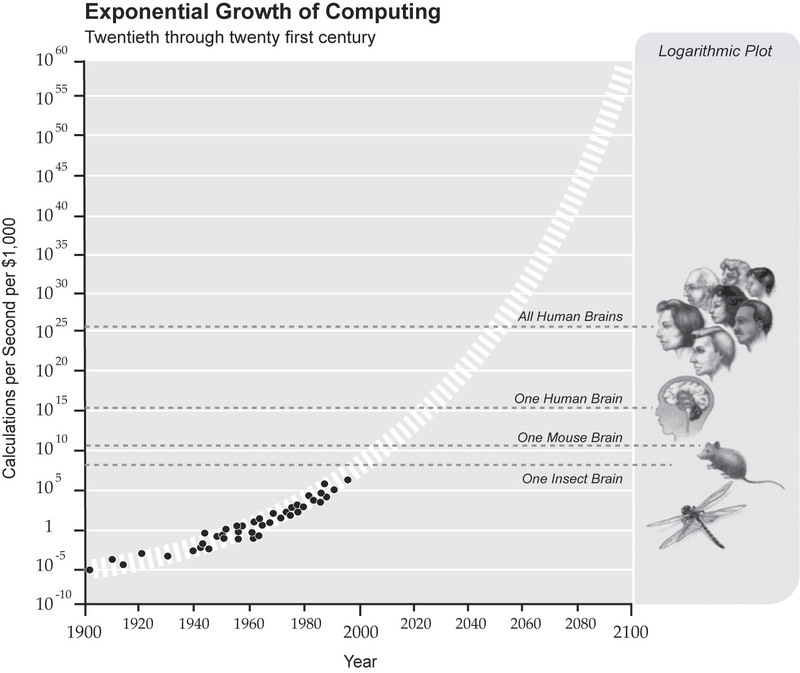 Exponential technologies, everyone reading this knows about, the cell phone in your pocket is as powerful as a 70’s era supercomputer yada-yada-yada. DIY Innovators are those makers and entrepreneurs building novel solutions that once required huge organizations. Technophilanthropists are those benevolent billionaires as evidenced by Bill Gates trying to eradicate malaria. The “rising billion” refers to the poorest billion people as they rise out of poverty and start to participate in the global rat race, err, economy by producing and consuming. Progress, progress, everywhere. So in many ways, it might be argued that technology has steadily increased abundance over the millennia. Perhaps most dramatically noticeable with the advent of agriculture, but certainly the caveman with a spear acquired more food than the one without. And eventually the rising tide might well raise all boats. But from our perspective it’s often hard to view this age as an end to scarcity. People still starve to death. So we currently have a coexistence of abundance and scarcity. Certain things remain scarce for certain people but more and more are enjoying previously inconceivable abundance. We are like frogs being slowly boiled in abundance. We just don’t notice how rich we are getting. Certainly there is only one earth which we may be over enthusiastically uh, reorganizing. And that is part of the abundance story that sort of turns sour. Sure, we have made great leaps in energy efficiency, and in many ways technology has made resources appear out of thin air. But yeah, only one earth. And probably the coolest thing about it is the biosphere. And we are sort of messing that up. So some frowny faces might be in order now and then. Now that’s getting closer to something believable. Whatever future abundance I imagine, it’s got to be weird and slightly disturbing, or I just discard the vision immediately as nonsense.